If you find yourself in the unfortunate situation that your new or used vehicle is a lemon, you’re more than likely jumping to conclusions about how the process will end. However, the first thing on your to-do list should be finding a good lemon law attorney to represent your case. The truth of the matter is the auto industry is backed with some of the most high-powered legal defense teams in the country – especially in California. It’s not uncommon that a dealership or manufacturer will unnecessarily delay the lemon process for consumers. After all, this is probably your first experience with a lemon. Specialized lawyers handle these cases every day. The good ones know exactly what it takes to get speedy buybacks and replacements. It’s important to note that you shouldn’t just pull a name out of a hat to help you get the justice you deserve. The choice you make here will more or less determine the outcome of the proceedings. There are several key steps you need to consider when you are making your selection. Let’s talk about four of the major ones. The defect must be covered under the manufacturer or dealership warranty, and it impedes the safety and/or functionality of the vehicle. The manufacturer has made two or more attempts to repair a warranty-covered defect. The vehicle has been out of service for 30 or more days to repair the warranty covered defect. Defect(s) are not a result of abuse by the consumer. It is important to note it is not necessary for the defect to occur within the first 18 months of owning the vehicle, or 18,000 miles on the odometer, but if it does, it may improve your claim substantially. Additionally, you need to know which vehicles are covered under the state’s lemon law, and how the process works with used vehicles. This research should be done prior to reaching out to the lawyer. You need to have as much knowledge on the subject as possible before the consultation. Monthly payments and the down payment made for the vehicle. Payment of the loan balance. Note: the manufacturer may not be responsible for late fees on the loan incurred by the consumer. All attorney and legal fees. Collateral charges: which include sales tax, finance charges, registration, service contracts, etc. Incidental charges related to the lemon: which include costs for towing, rental car, etc. For this reason, it’s critical that you hold onto ALL receipts and records related to the lemon vehicle. Furthermore, you need to keep a record of every visit to the repair shop. This includes what they did, the date you bought the vehicle in, the odometer readings, how many times you had to bring the car in, the costs, etc. Having a paper trail of everything involving your lemon vehicle is crucial in getting the most from the manufacturer. To reiterate, choosing a good lemon law lawyer to handle your case is the most important piece of the puzzle. However, not all attorneys are equal. When it comes to lemon cases, you need to be very selective in your choice. When you are shopping around, there are red flags that should send you packing. 1. They are not specialized in lemon law – While some lawyers (who are experts in other areas of the law) will certainly tell you they can handle your lemon claim; this is rarely a good idea. It’s likely they are just looking for a quick case. As a general rule of thumb, if the firm does not advertise their expertise in lemon law, avoid them. 2. They ask for a bunch of out-of-pocket costs – A good lemon lawyer fully understands that a lemon is the result of the negligence of the manufacturer, of which is responsible for all legal fees if you win the case. Therefore, a trustworthy attorney will not charge you any sort of retainer or contingent fees from your lemon buyback for their services. 3. They take your case without a consultation – Quality lawyers will not accept a case with no background knowledge, as they will not want to risk losing. 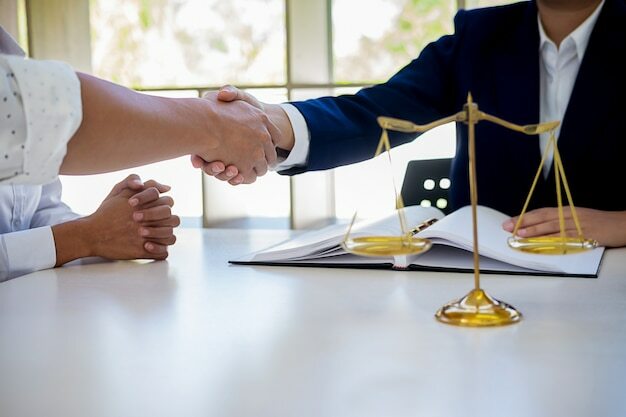 That being said, the lemon lawyer you reach out to should offer you a consultation to take the preliminary steps to review and file your lemon law claim. 4. They pass your case to paralegals – A lot of the national lemon law firms make money on the sheer number of clients they get. In these situations, most of the client communication is done through assistants. More importantly, these types of firms typically do not try to force the manufacturer to pay. Instead, they will try to get you to take a cash settlement from the manufacturer (you DO NOT want this). When you have a lemon, you need an attorney who provides a high level of personalized service and is committed to getting the best outcome. If you notice any of these red flags, do not waste any more of your time and keep looking. Dealing with any sort of legal process is rarely easy. When you are choosing a lawyer to represent you, you need to make sure their core values work in your favor. For example, if you are in need of a criminal defense lawyer, the attorney should have a genuine passion for identifying negligence in law enforcement. In terms of lemon lawyers, they should have strong values centered around consumer justice and have a passion for standing up to the big auto manufacturing giants. In The Golden State, where there are more vehicles on the road than anywhere else in the country, your California lemon lawyer should value speedy buybacks and fast processing of lemon claims. Good lemon lawyers empathize with how frustrating a defective vehicle is to a consumer. Moreover, they understand that getting a claim resolved ASAP is critical for keeping the crowded roads safe. When you have a lemon vehicle, the process of getting your claim resolved does not have to be a long, painful journey. With the right attorney, you can get the case wrapped up quickly and efficiently! If you have a hunch that your vehicle might be a lemon, get in touch and schedule a FREE consultation today!